The cost listed was just development and construction cost? Curious if we take an equivalent size area and add maintenance/ancillary costs on a per year basis what those numbers would be. Yes, the cost listed was development and construction costs. Things will vary based on the amount of and quality of amenities included. Millennium Park is a treasure that many think of when desiring green space along the downtown riverfront. However, most may not know that it cost nearly $500 million to build and roughly $12 million annually to maintain. 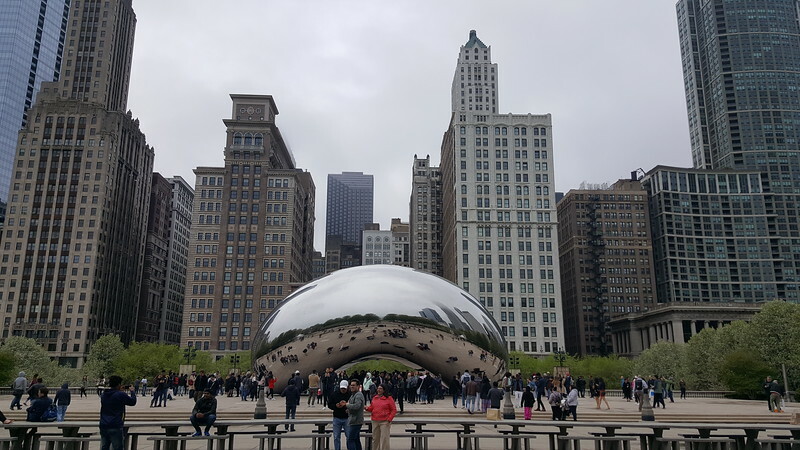 There are a few things with regard to Millennium Park that makes it an outlier; the largest of which is that it it was built over a working rail yard. but, it's an incredible space done EXTREMELY well. They all have various quirks and outliers to a degree, since no urbanized area is exactly the same. Houston's Discovery Green included acquiring multiple blocks of surface parking, closing streets, adding a public parking garage, a lake and an assortment of other amenities....leading to it topping the $100 million mark. Cascades Park in Tallahassee included environmental remediation. The one thing they all have in common is that they aren't cheap, no matter how we slice it. At this point, we do know that Jax's outlier will include $22 million in land acquisition, demolition and preparation costs. One of the more interesting things to me about Jax's political leadership is the fear of potential liability associated with amenities that are necessary to make urban spaces great. Yet, there's a calm with making much larger expenditures that are highly likely to make the revitalization process more challenging in the long run. Millennium Park, been there. Certainly a destination. That entire area from Soldiers Field all the way to the museum and the Shedd Aquarium is unbelievable planned well. With all the examples on how to do it right, we keep doing it wrong. If we could trade the D in demolishing to a D in developing, we'd get somewhere. Omaha's new downtown riverfront park is going to cost $260 to $290 million. $50 million from the City and the rest is private donations. I wonder if Jax could come up with $240,000,000 in private donations for anything. Well, they say they have $150M So Far, and the entire development includes a new library so not all park. But I get your point. What I see in Jax: People are generally willing to donate IF a concrete plan is presented. It appears that was the case in Omaha. Leaders here don't seem to get that. For example, while not in the same dollar amounts, if you walk through the MD Anderson center on the southbank, there are tons of private donations and places to donate. Same point: Baptist and MD Anderson laid out a concrete plan as to what they're going to build and exactly what the donations are for. Someone needs to push the COJ to develop that concrete plan. ^Bingo. Don't expect much money if on one day you want a convention center then on the next day you just want to clear a high profile site and figure out another use for it later (just using city hall annex as an example). If you want others to donate, you need a concrete plan that everyone understands and can see you being committed to incrementally implementing it. Some of the greatest parks are largely funded with donations that come after a city has created a plan and put its money where its mouth is in initially getting it started. It's a pretty common practice and characteristic of most cities with vibrant downtown areas and urban green spaces.